The U.S. Government created its first Global Water Strategy (GWS) in 2017, to go beyond drinking water and sanitation to broader themes of water management, institutions and conflict resolution. 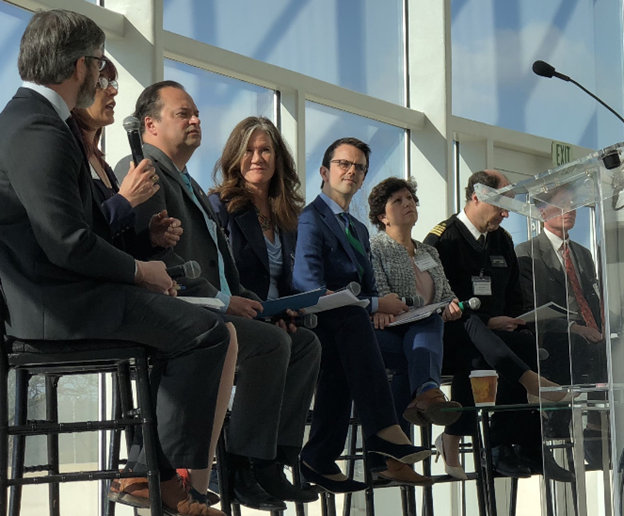 As part of their efforts to reach out beyond government institutions to the broader water community, including NGOs, universities and the private sector, USAID and the State Department held a collaboration workshop on Reaching a Water Secure World: U.S. Global Water Strategy on March 13, 2018 at the U.S. Institute of Peace in Washington, DC. Within this day-long workshop, concurrent breakout sessions on were held, covering GWS strategic objectives. ICIWaRM was asked to lead and help summarize the insights of participating stakeholders on challenges, opportunities, and linkages in implementing the GWS objective on Transboundary Water Cooperation. This included cross-cutting themes of sustainability, gender equality and empowerment, local ownership, maximizing impact, and a whole-of-government approach. Transboundary water issues require long-term engagement to make contacts, build trust, and acquire and share data and information. Existing networks should be tapped into (including academic exchanges, research, professional associations, and implementing organizations). The enabling environment including the rule of law needs to be strengthened to encourage private sector investment and other cooperation. Increased attention needs to be paid to financial incentives for collaboration. Increased engagement with environment and natural resource management communities would be beneficial. Write-ups of the entire workshop are available here and here.